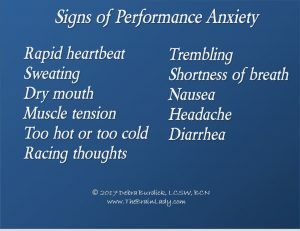 Share the post "Got Performance Anxiety?" Does your anxiety increase when you are on the spot such as when you are speaking, taking a test, or giving a presentation or a performance? Do you sweat, tremble, get a dry mouth, or feel nauseas? Does your heart race? Then you may have performance anxiety. Use the checklist below to find out. Although a bit of anxiety can help us perform better, too much can really get in the way of doing our best. One type of performance anxiety is test anxiety. Many people worry that they will not do well on a test. They may fear that they will be distracted while taking a test and then won’t finish it on time. Others worry that they won’t know the answers and therefore won’t get a good grade. This can cause test anxiety and stress, which makes it even harder to do well. Fear of public peaking is another very common form of performance anxiety. Many people have increased anxiety when they need to speak in front of others or give a presentation or a performance. Their symptoms of anxiety often make it harder to talk, remember what they need to say or to perform. Do you have performance anxiety? Check off all that apply to you, and use the blank lines to add any others. I often feel overwhelmed and worry about how I’m going to do on a test. I feel anxious when I need to speak in front of others or give a presentation or a performance. I get symptoms of anxiety, such as headache, dry mouth, rapid heartbeat, sweating, shortness of breath, nausea, diarrhea, muscle tension, or feeling too hot or cold. I procrastinate when I need to study, practice or rehearse. During a test I second-guess myself, change my answers, or get stuck. During a presentation I stumble over my words or forget to include important points. During a performance I forget my lines, the words, or what’s next. I have more trouble concentrating when I worry about how I’m doing. I would perform better if my anxiety didn’t get in the way. If you’ve checked off any of these, you will benefit from strategies to reduce performance anxiety. You can prepare yourself ahead of time to head off this kind of anxiety so you can stay calm and focused while taking a test or while giving a presentation or performance. Then you can do your best. Prevent and reduce performance anxiety any time you need to take a test, speak in public or perform by taking these steps. Plan ahead and schedule plenty of time to study, practice or rehearse. Build confidence by studying, rehearsing or practicing. Ask a friend, family member or colleague to quiz you or listen to your presentation or performance and give you feedback. Give yourself a practice test, or do a dry run of your presentation or performance. Time yourself, and try to mimic the test or performance situation you will be in to get used to it. Get some exercise an hour before the performance. Count to four while you gently breathe calm and safety in through your nose. To the count of eight, breathe worry and stress out through your mouth. Blow gently like you are blowing a huge bubble. Allow your worry to flow out of you. Say to yourself, I am prepared. I can do this. Repeat steps 1- 5 three times every time you notice you feel anxious. Bring your attention and renewed energy back to what you are doing. 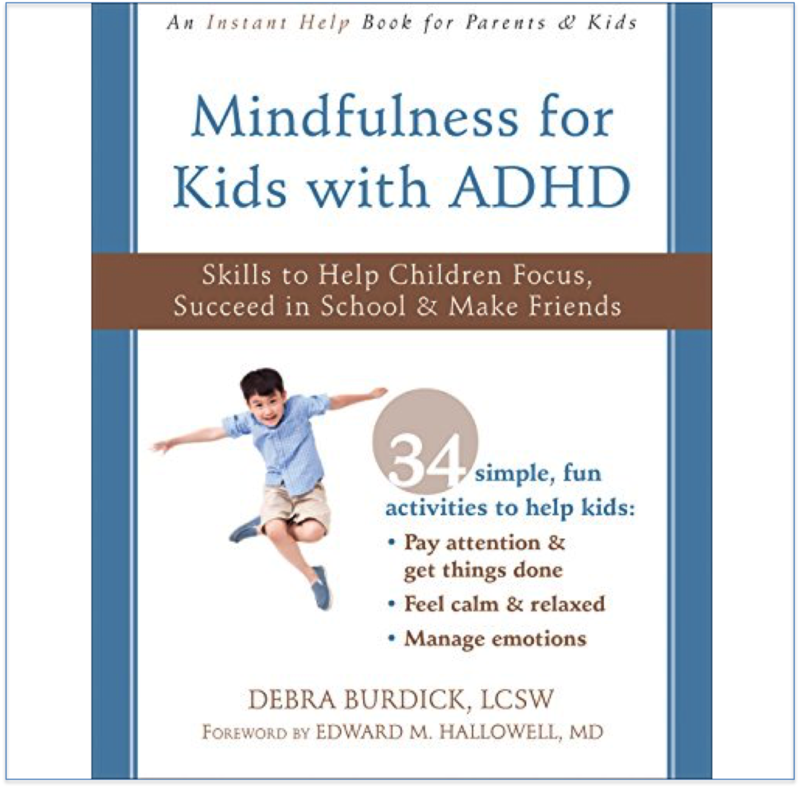 For more help with calming performance anxiety listen to and follow along with the mindfulness skills on the Mindfulness Toolkit CD/mp3. 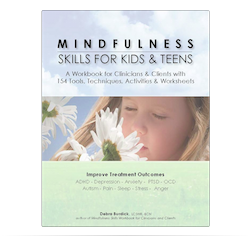 They will help you practice calming your anxiety and staying present. I am a retired school psychologist with a doctorate in counseling (EdD). I have ADHD and anxiety disorder. Do you think that neurofeedback would help alleviate my symptoms? If so, can you recommend a therapist. I live in Estero, Fl. during the winter. 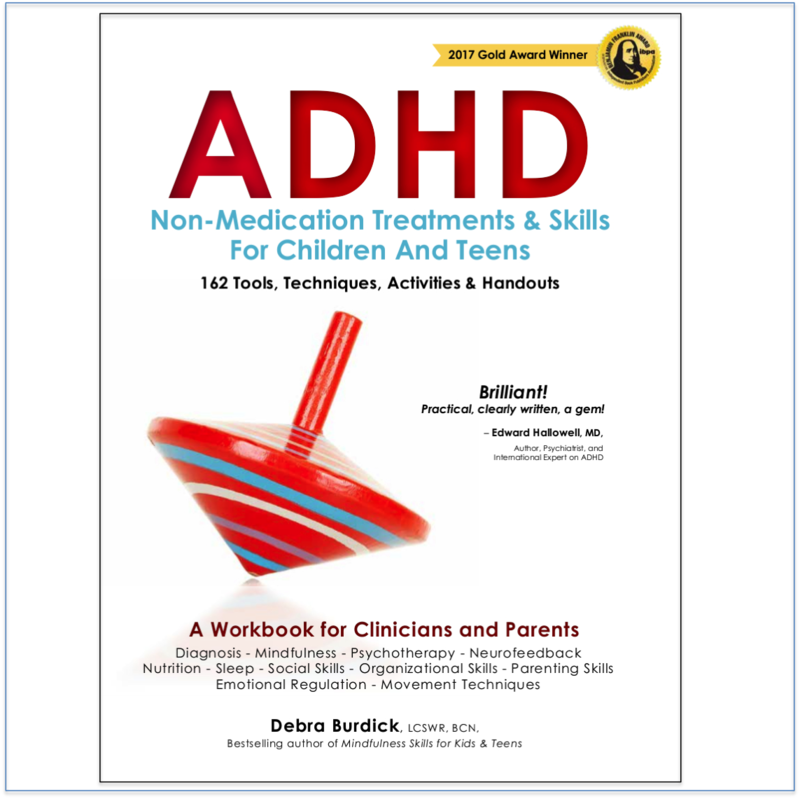 Yes, Neurofeedback has been shown to be very effective for both ADHD and anxiety. You can find a board certified neurofeedback practitioner at http://www.bcia.org under Find a Provider. Look for those with the credential BCN after their name which indicates they are board certified in Neurofeedback.